Hi Girls! 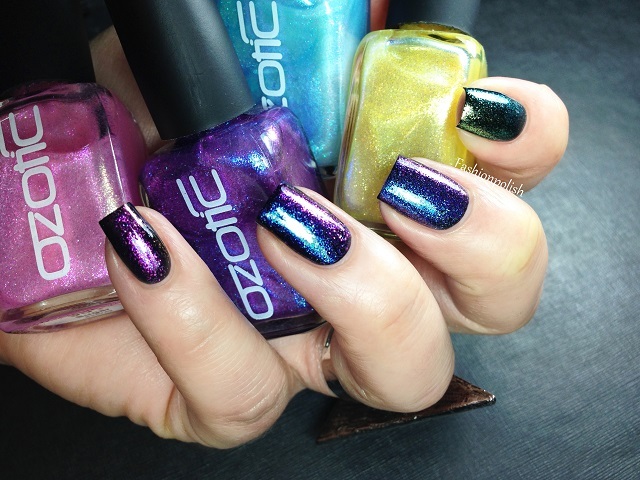 Today I have 4 gorgeous duochromes from the Ozotic Sugar collection to share with you! I already reviewed one of them, 902, a little while back but let's see them all, shall we? I didn't experience any issue with these upon application. Coverage was even and the duochrome effect really intense, even under low lighting. As mentioned, I only used one coat over black in all of the swatches above and it was enough for an easy and complete coverage. I actually love them so much that I couldn't resist adding one last picture! 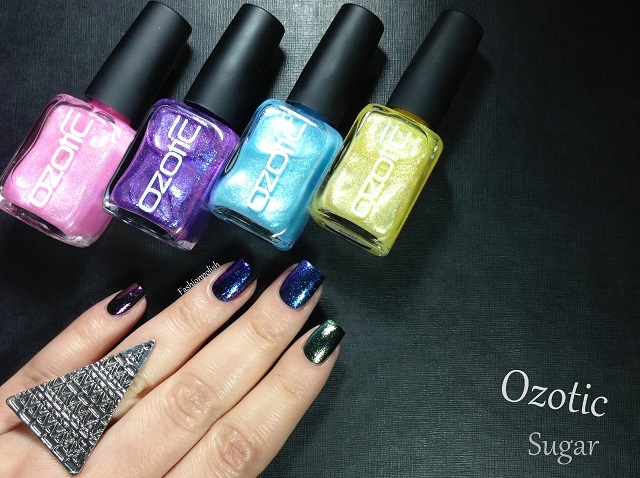 The Ozotic Sugar collection retails for AU$12 each and can be purchased directly from piCture pOlish.com.au or through their international network. 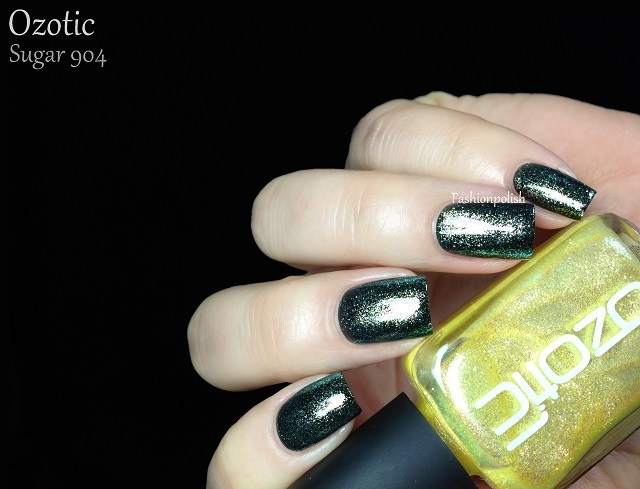 902 is currently sold out on the piCture pOlish website but they're all part of the core collection so it should come back very soon! 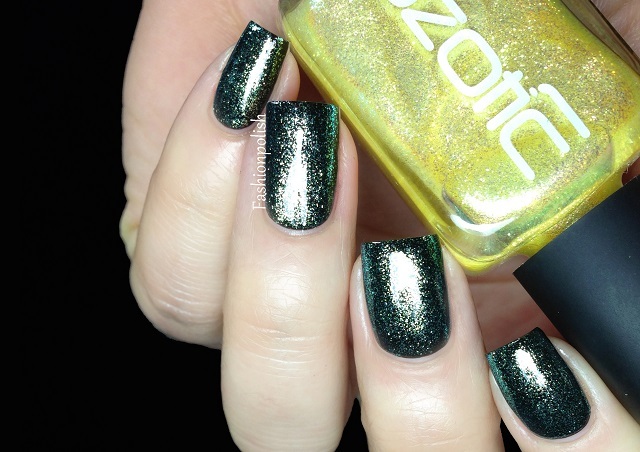 For more information, please refer to piCture pOlish.com.au or piCture pOlish on Twitter / Facebook. I can't wait to hear your thoughts on these! 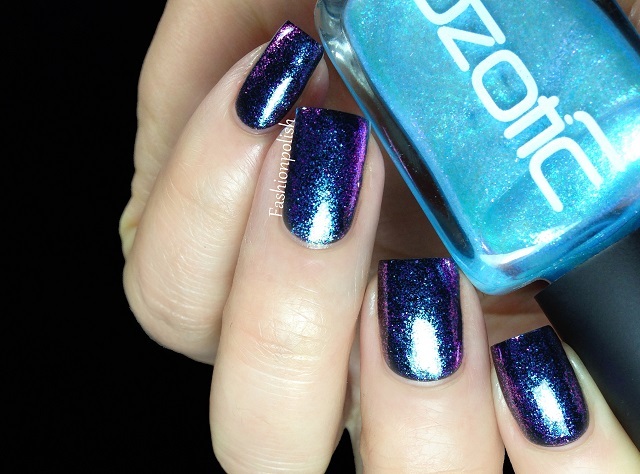 Are you a duochrome lover? These are SO pretty! Sugar is my favorite since it's the most unique. I'm definitely a duochrome lover! These look amazing! I have 903 and I can't wait to try it! These are so pretty. They aren't something I would normally go for but your swatches make them so beautiful. 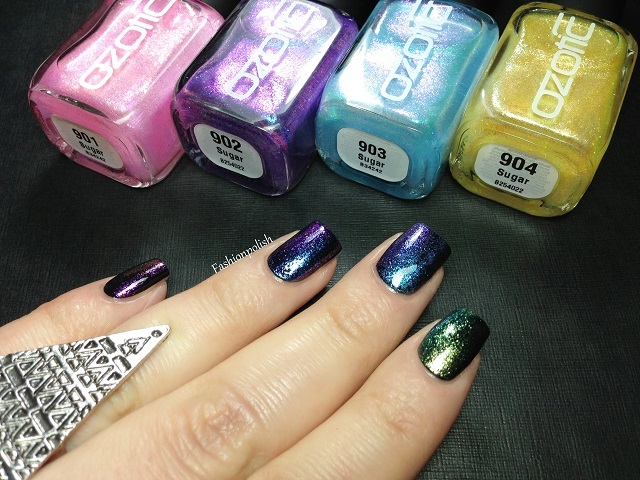 I'm not really a fan of duo chrome polishes but these are so beautiful. Wow, these are phenomenal! I love 903! Gorgeous swatches and excellent review!! Great job! !